Kids. They become obsessed with so many different things over such a short space of time and I know Millie is no different. She goes through phases of loving her Princesses, Paw Patrol, at the moment she loves to draw and write (as she’s just started school!) but one thing that never seems to get old is her love for Dolls. 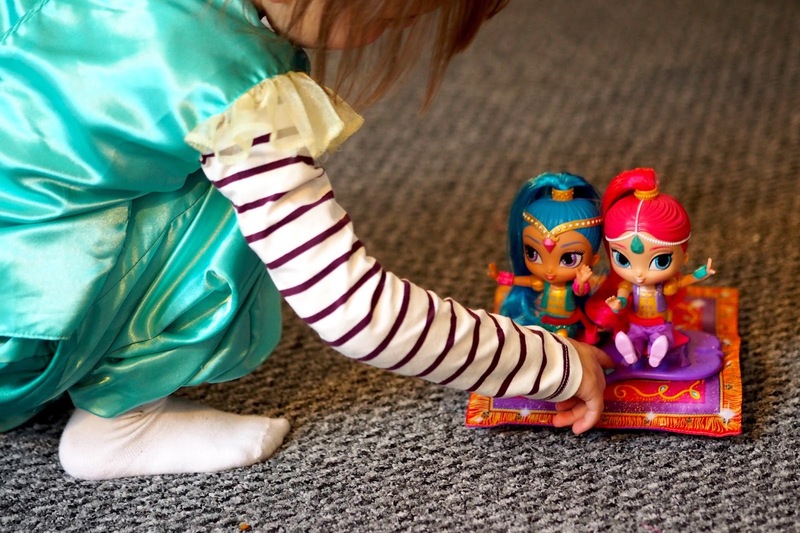 She loves her Barbies and similar dolls and plays role play games with them constantly and Shimmer and Shine dolls have to be her favourites and so you can imagine the joy when she was kindly sent the new Fisher Price Shimmer and Shine Magic Carpet and I told her she would be on Mummy’s Blog to talk about it! 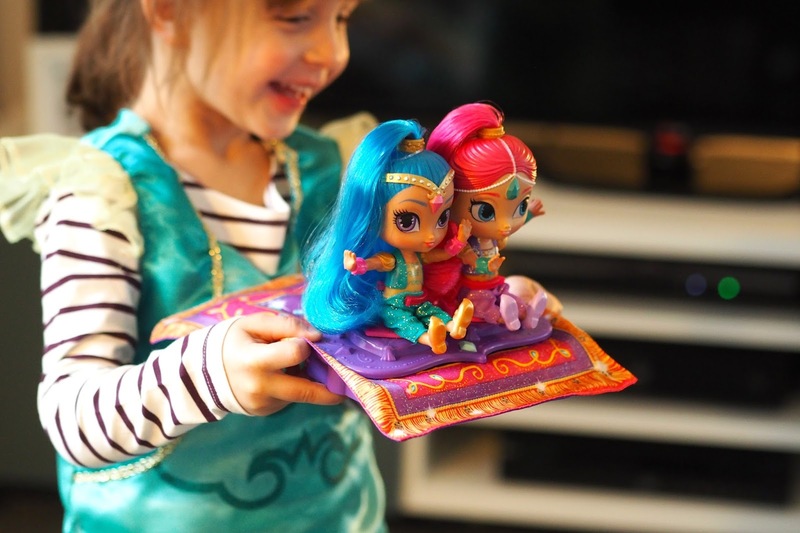 The entire package comes with a moving magic carpet *it does not fly* and both dolls complete with outfits. The carpet has roller wheels on the bottom which mean it can glide across smooth surfaces and carpets and the back of the carpet has a wave like motion when this happens. 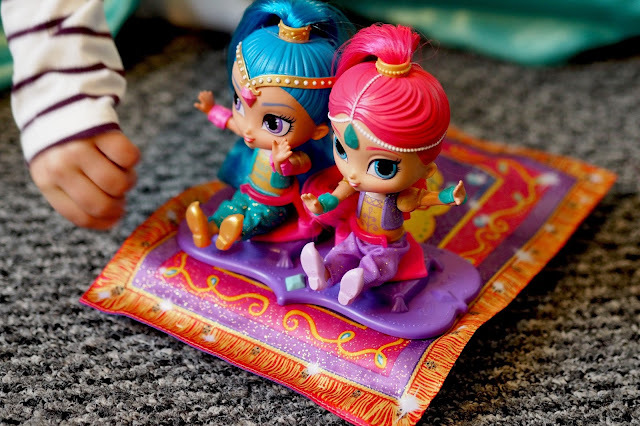 Lift the carpet and pretend to fly Shimmer and Shine into a magical adventure with over 40 phrases and magical sounds from the TV series too, including the catchy theme tune! All she wants now is the other dolls to add to her collection and she’ll have the entire group which she’ll play with for hours on end! 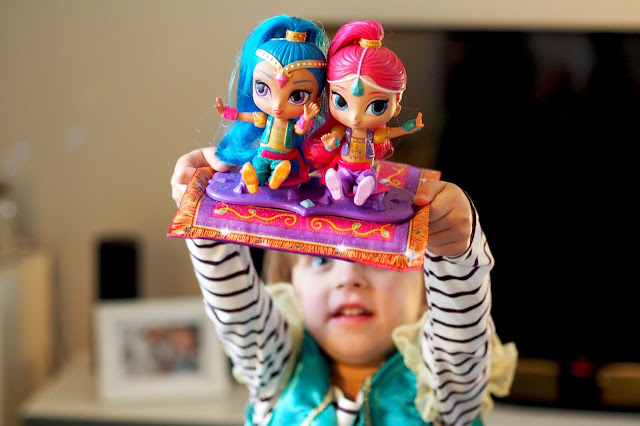 It’s a perfect Christmas Gift Idea for boys and girls who love Shimmer and Shine!